Norfolk’s top farming business has now won a total of three supreme awards in the annual competition. HomeNews & GalleriesAylshamshownewsNorfolk’s top farming business has now won a total of three supreme awards in the annual competition. Heygate Farms, of Snailspit Farm, Swaffham, is the latest supreme champion in the 36th annual Norfolk County farm business competition. Farm manager William Gribbon will be presented with the Leonard Papworth Memorial Award by Tony Bambridge, president of the Aylsham Agricultural Show Association. 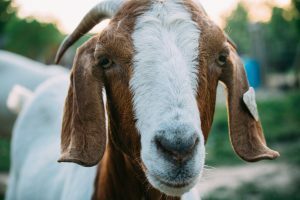 The long-established farming business won the title for the first time in 1991 when run by Mervyn Gribbon, and then again in 2006. Heygate Farms is now a three-time champion. The reserve supreme championship was won by Broadland farmer James Chapman, of Hill Farm, Rollesby. And Chapman Farms, now qualifies for the 2016 supreme championship, having won the overall title as Norfolk’s best farm in 2002 and 2005. 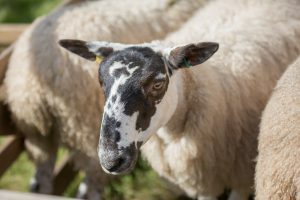 The award for the best livestock enterprise, the Jubilee Cup, was won by Stephen Temple, of Copys Green Farm, Wighton, on the Earl of Leicester’s Holkham estate. Another Broadland farmer, Richard Hirst, of Carr Farm, Ormesby, won the Stuart Chapman award for diversification. There was keen competition in class one between relative neighbours in central Norfolk, which was judged by two Suffolk farmers. 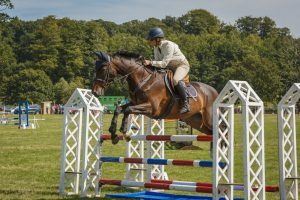 Another former champion, Robert Salmon, of Hyde Hall, Fransham, near Dereham, won class one ahead of estate manager Nigel Padwick, of the South Pickenham estate. North Norfolk farmer Ali Cargill, of Cargill Farms, Gimingham, was the class two winner. The runner-up was Luke Paterson, of Dilham Hall, who is also chairman of Stalham Farmers’ Club. 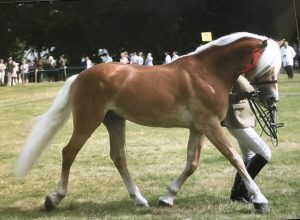 The 2014 champions, LF Papworth, of Lodge Farm, Felmingham, have won the supreme title on a total of eight occasions since it was first awarded in 1981. In that year, LF Papworth stood reserve to KE Gill Farms. Another leading contender, Sir John White’s Salle Farms Co has won a total of six supreme championships. His estate manager, Poul Hovesen took the title for the first time in 1992 and retained the trophy the following year and in fact, became the sixth champion in 2013. Trophies and awards will be presented on Monday, July 6. William Gribbon, of Heygate Farms, Swaffham, will host the annual farm walk at Snailspit Farm PE37 8AE at 5.45pm. 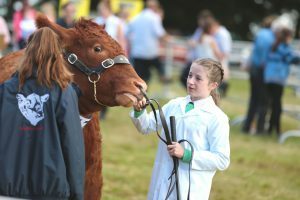 To assist with catering and arrangements, members and guests of Aylsham Agricultural Show Association are asked to inform the secretary, Chris Self, on 01263 733881. Championship – Heygate Farms Swaffham Ltd, Snailspit Farm, Cley Road, Swaffham; reserve champion, Chapman Farms, Hill Farm, Rollesby. Finalists – E F Harrold Ltd., Docking Farm, Oulton; J H Withers & Son, Honey Top Farm, Edingthorpe. Jubilee Cup, Livestock enterprise, J F Temple & Son. Judges – Andrew Buckley, Lockwood Estates Ltd, Scampton, Lincoln, Niall Atkinson, Louth Park, Keddlington, Louth. 1 N E Salmon Ltd., Robert Salmon, Hyde Hall, Fransham, Dereham. 2 South Pickenham Estate, Home Farm, South Pickenham. Judges – Matthew Baker, David Baker Farms Ltd., Boundary Farm, Ilketshall St Margaret; Ewan Winzor-Saile, Kings Fene Farm, Ilketshall St Lawrence, Beccles. 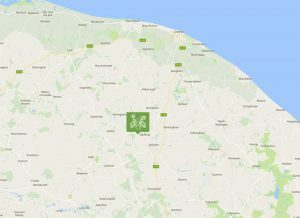 1 Cargill Farms, Grove Farm, Gimingham; 2 Bindwell Ltd, Dilham Hall, Honing Road, Dilham, North Walsham. Stuart Chapman Bowl – Diversification, Richard Hirst, Carr Farm, Ormesby. Robert Lockhart, Drayton Basset. Tamworth, Staffordshire. ER Spratt 1994 and 1997. KE Gill Farms 1981 and 1990.